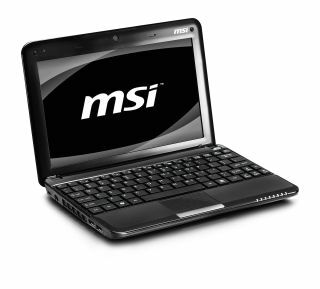 The MSI Wind collection - now with updated netbooks! MSI has unveiled its new range of Wind netbooks, with the emphasis very much on saving the battery life while maintaining performance. The company is claiming that its new U130 and U135 series both have a 15 per cent increase in battery life thanks to the Intel Atom N450 processor drawing only 5.5W of power. Both netbooks feature a 10-inch LED backlit display with 1024 x 600 resolution, meaning that not only is power saved but contrast ratio is improved too. WiMAX is also included for connectivity, but given there aren't any networks in the UK to make use of it, it's not the most important feature. Both have up to 802.11n standard Wi-Fi, Bluetooth, webcams and a 160GB / 250GB hard drive (U130 / U135). The U130 comes in two super fun colours: Snow White and Brilliant Black (clearly the naming department couldn't be bothered with the latter). And the U135 - well, that's just as fun: Sterling Silver, Brilliant Black, Midnight Blue and Cherry Red. If you're after one, the MSI Wind U130 and U135 UK release date has been set for January, with prices of £229 and £279 respectively.